**Replacement: **None. 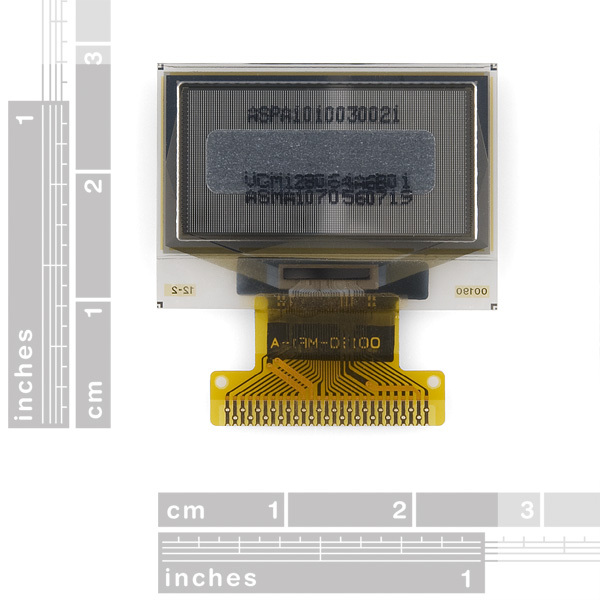 We are no longer carrying this OLED module. This page is for reference only. If you need a small simple display, you might want to check out this OLED. 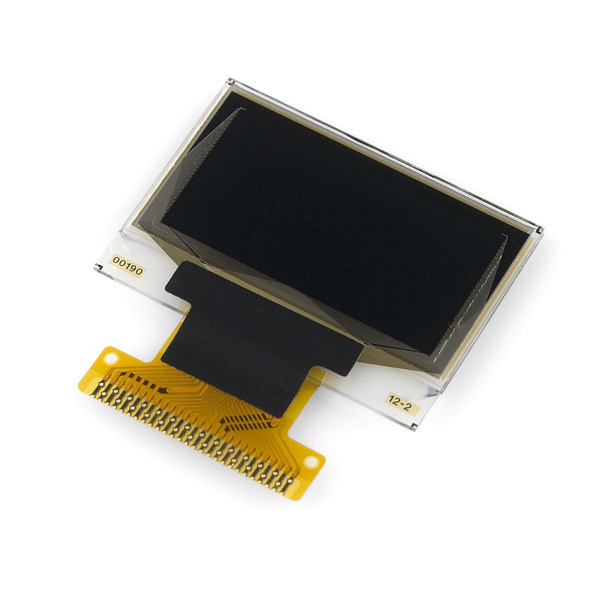 Organic Light Emitting Diode (OLED) displays have fantastic contrast and require no backlight! 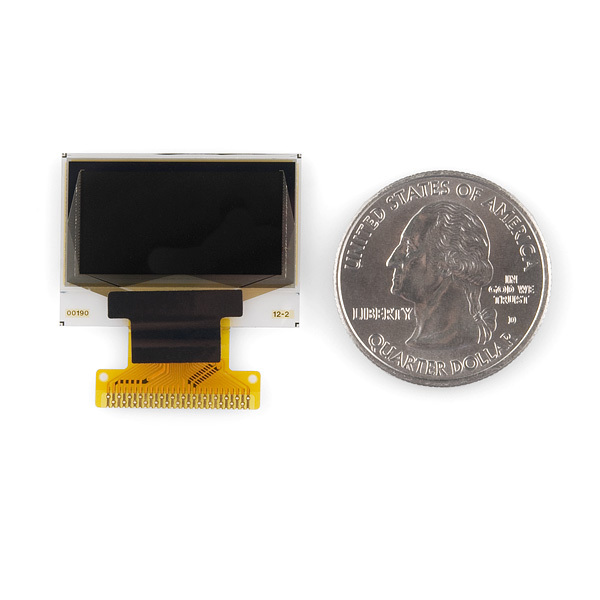 This screen is 0.96" and has 128x64 pixels and a built in controller. 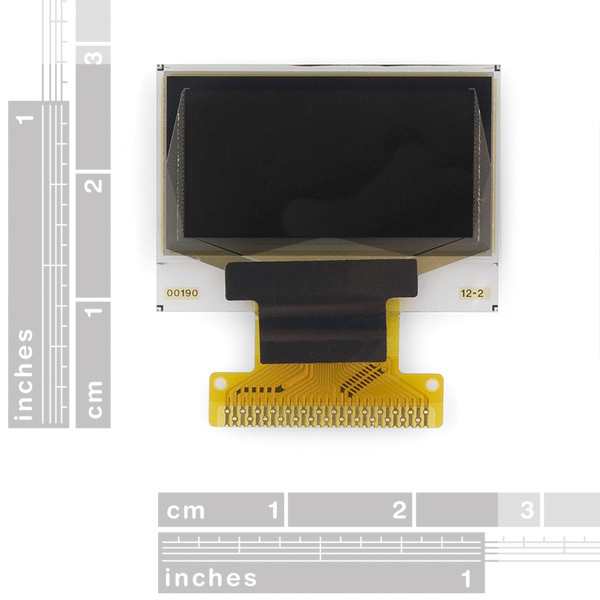 Check the datasheet for full dimensions, this screen is tiny! It would be nice the have a photograph of the screen in operation to see what it actually looks like (brightness, hue, gap between pixels, etc.). I generally would not buy a graphic display without at least some photos to consider. Is there a breakout board coming, or is this screen compatible with the 128x128 display breakout? Isn't this under the wrong category? I assume this is a monochrome screen, right? Thank you Hily, for moving it.